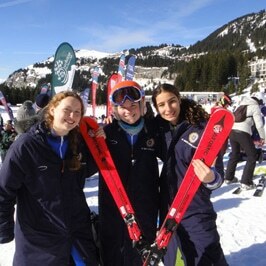 St Mary’s once again sent its skiers out to Flaine for the British Schoolgirls’ Races on 28th and 29th January 2019. After an intense weekend of competition, one of our Year 9 girls won silver in the Under 14 Unregistered Giant Slalom and bronze in the Under 14 Unregistered Combined event. 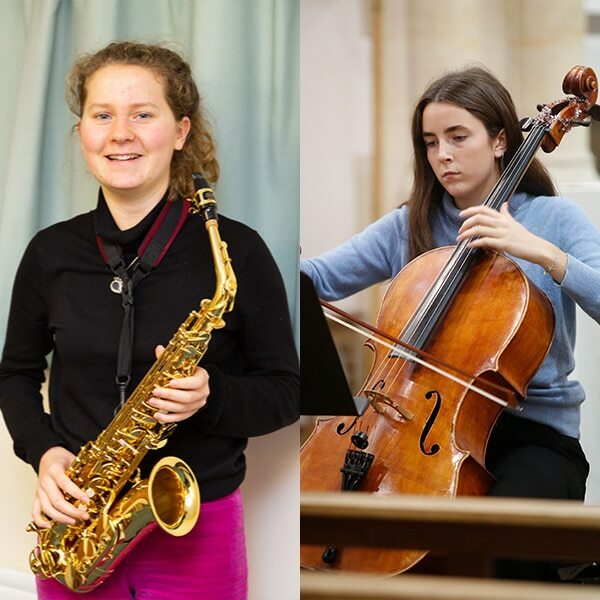 Two of our Sixth Form girls have completed their ABRSM diplomas, one on the cello and one on the saxophone. This post-Grade 8 qualification requires candidates to learn and perform a substantial repertoire of technically challenging music, so it is a fine achievement for them both. One received a merit and the other a distinction. The St Mary’s MUN society travelled to Dr Challoner’s School in Amersham last Saturday to debate in the second annual MUN conference. 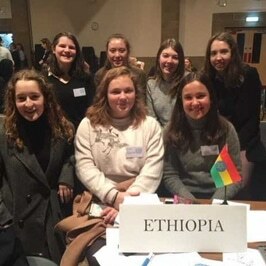 One of our Lower Sixth girls was commended for her participation in the Human Rights Committee, while one of our Year 8 girls won the Distinguished Delegate Award for her work on the Disarmament Committee, where she debated with impressive skill, and passed a resolution in what was her first ever conference. 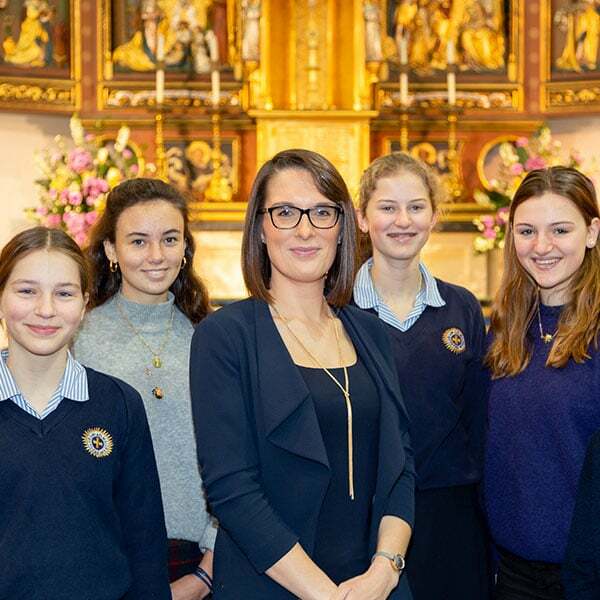 We are delighted to announce the winners of the first Magis Award, which recognises the girls' engagement with charitable causes over the last year, and has been made possible by a generous anonymous donor. The entrants wrote up a project about service or volunteering activities they had undertaken or supported, and they were then interviewed. Some had worked with people in poverty, others with underprivileged children, or with women for medical causes. The prize for each of our five winners was a £1000 donation to a charity of their choice. Congratulations to all of those girls, and to the charities that will benefit from their work. We spent much of the Michaelmas term commemorating in various ways the centenary of the end of the First World War. 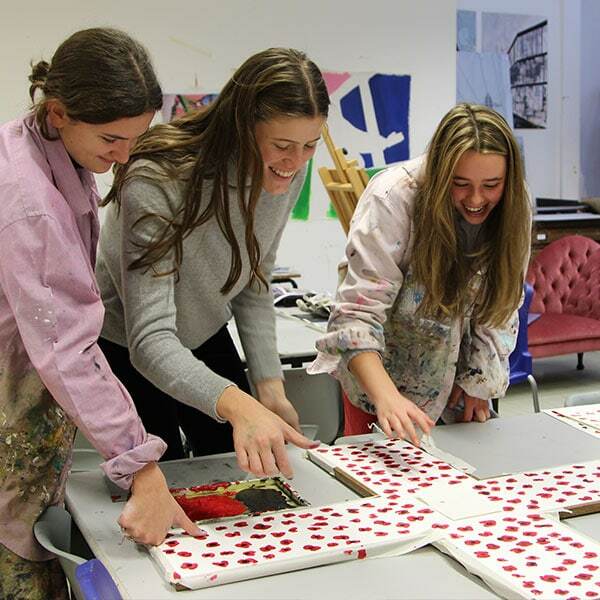 One of our major projects, run by the Art Department, was the making and installing of a large commemorative cross, decorated with poppies made from the fingerprints of all the girls and staff in the school, and the inscription 'war has made us wise', from a poem by Siegfried Sassoon. This cross now hangs on a wall in the Chapel as a permanent reminder of all that the War has come to mean to us. St Mary’s riders have been triumphing in the equestrian world this autumn, having reached the finals of the 2018 Windsor Horse Show. One of our Year 11 girls competed in the international Osberton Horse trials on 29th September, placing 54th in a field of 130 that included some of the best riders in the world. On 8th October, one of our Year 8 girls won the 80-85cm eventing at the NSEA finals, followed by the Connemara Pony Society eventing finals. 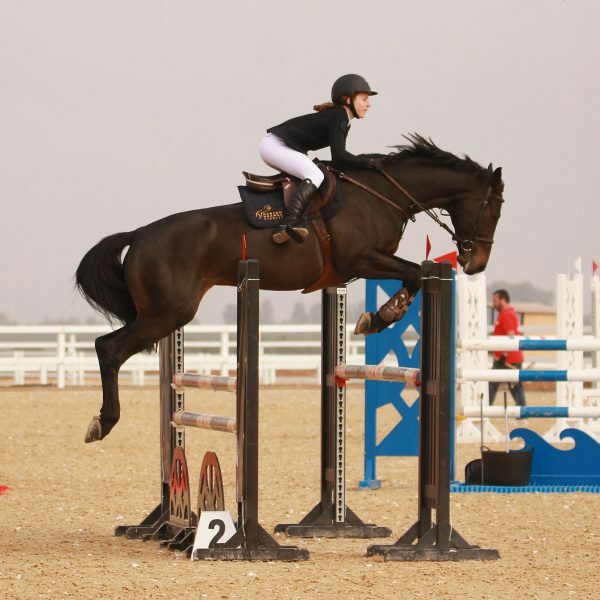 On 4th November, one of our Year 9 girls won the 1.10m competition at the international Sevilla Standard Show. In November, the St Mary’s team qualified for Hickstead, taking first and second places in the 100cm at Pontispool, and came 6th in the NSEA championships, with one of our Year 9 riders coming first as an individual. 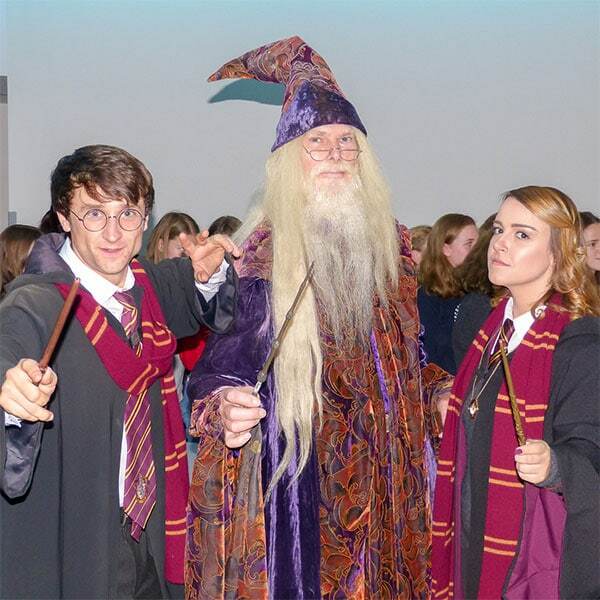 St Mary's turned into Hogwarts over the weekend of 10th-11th November 2018, with the arrival of Professors Dumbledore, Snape, and Sprout, Harry and Hermione, and even a late appearance by the dreaded Voldemort, in the midst of our feast in the Great Hall - the 'butterbeer' desert was a particular highlight. Other delights included the Ford Anglia flying car, wand and potions-making workshops, a visit to the sinister Sorting Hat, and a remarkable owl display in the Sports Hall. The weekend finished with a Giant Harry Potter Quiz, and magnificent fireworks display. One of our very talented Upper Sixth musicians has achieved a distinction in the LRSM over the summer, the third diploma in Music Performance of the ABRSM board. The diploma consisted of a 45-minute recital of high-level violin repertoire, accompanied by written programme notes; sight-reading; an oral examination on the musical scores and on the history of the violin and its repertoire. Rosanna is the first St Mary’s girl to reach the Licentiate of the Royal School of Music, the equivalent of a BA in music performance. She has been taught since the age of 5 by her father, who is a violin teacher at the school. 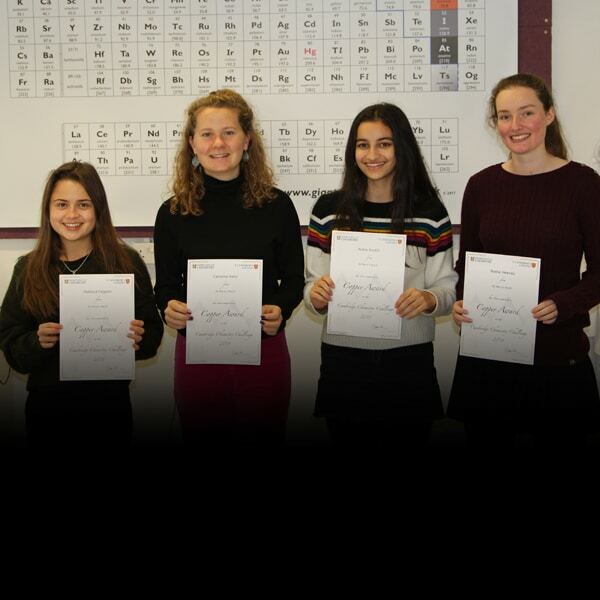 Four of our most eminent Sixth Form chemists entered the Cambridge Chemistry Challenge run by St Catherine’s College over the summer. It was our first time in this competition, which attracts about 8000 students from around the country annually, and aims to test the ability of chemistry students by taking them significantly beyond the syllabus and testing their ability to think in the way that they would be required to at university. Our girls all returned home triumphant, flying the flag for science at St Mary's, and bearing Copper certificates for their excellent achievements. St Mary's sportswomen continue to make their mark on the county scene. 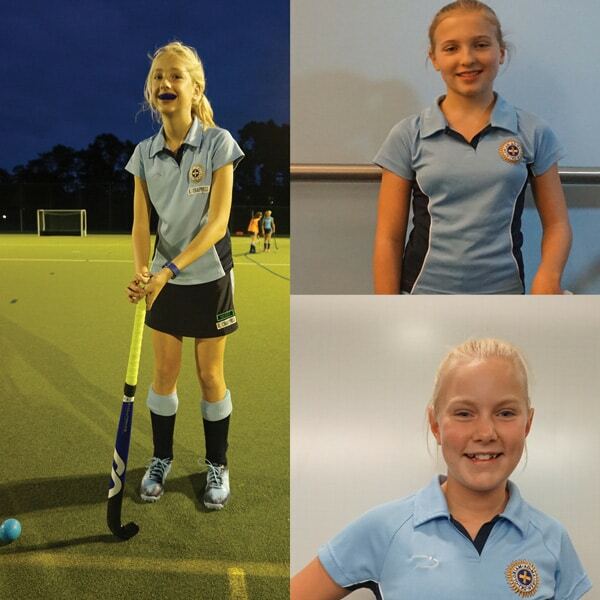 In September 2018, two of our talented young hockey players, one in Year 8 and one in Year 9, were selected to join the Junior Academy Centres for Berkshire County Hockey. Another of our Year 8 girls has been selected for the Berkshire Netball Satellite Academy in the Under 14 age group, a year above her current year group. 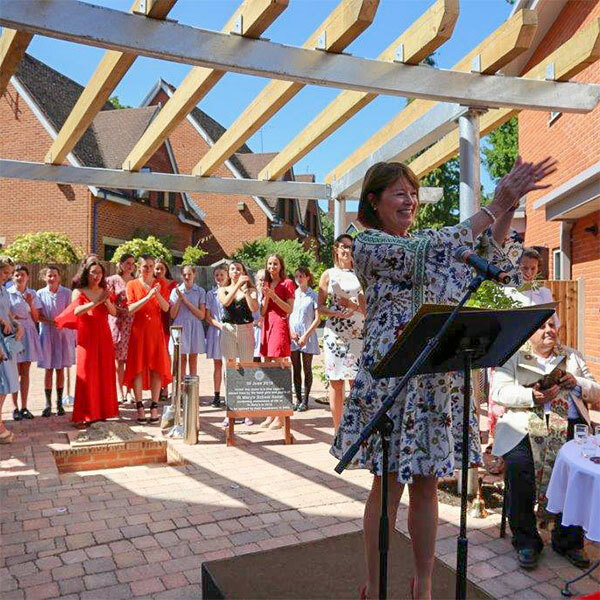 The official opening of the new Upper Sixth Courtyard took place before nearly 1000 people on Saturday 30th June 2018. 18 months in the building and 6 years in the planning, the Courtyard provides 64 en-suite study bedrooms for the Upper Sixth in five beautifully-appointed townhouses, together with accommodation for residential staff. The Courtyard also includes a light and spacious Pastoral Centre, with a lecture theatre, reading room, meeting rooms, and a studio space that is used for dance classes, yoga, society meetings, and entertaining. The Courtyard opened to its first Upper Sixth residents on 9th September 2018. 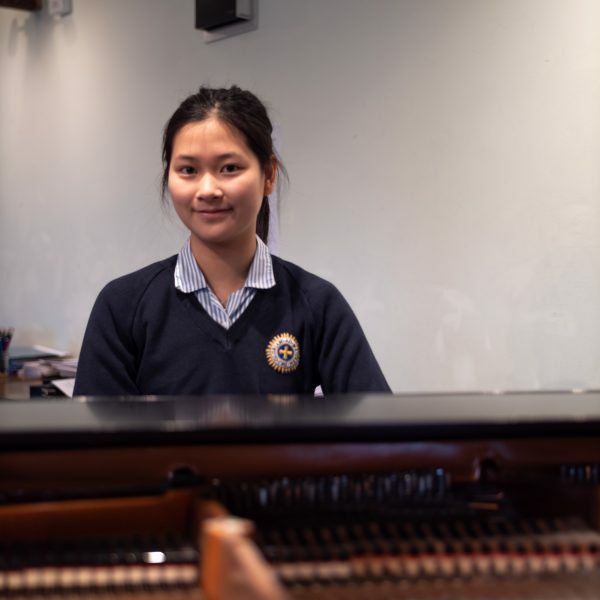 During the summer holidays, one of our talented Lower Sixth pianists entered the 9th Hong Kong Virtuoso Music Competition. Participating in the Solo Diploma class, against a field of entrants from across China and Hong Kong, she gave an outstanding performance of Chopin’s Nocturne in B Flat Minor, Opus 9, which earned the prize for Overall Winner of the competition. 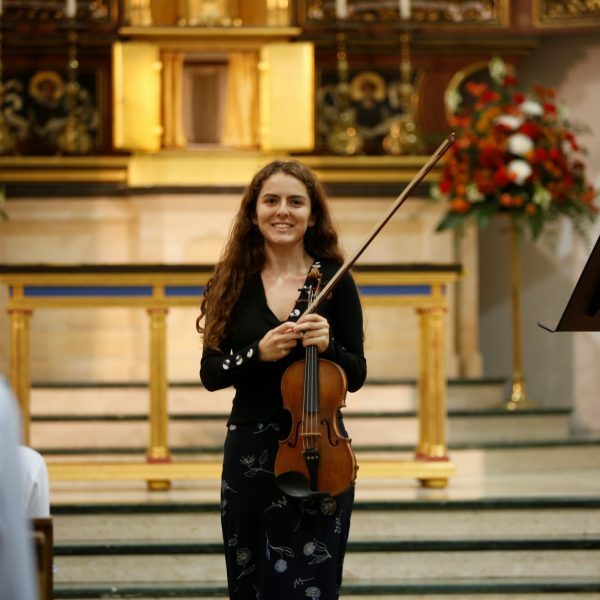 We were all thrilled to hear her perform the piece again as a highlight of the Music Scholars’ Concert on 12th October 2018 to a packed and appreciative Chapel audience. The Chairman of Governors is delighted to announce that Mrs Danuta Staunton will succeed Mrs Breen as Headmistress from September 2019. Mrs Staunton is the ninth member of St Mary’s staff to move on to Headship in the last twenty years, and was the unanimous choice of the Board of Governors, a decision strongly endorsed by Council Members. Mrs Staunton attended St Augustine’s Priory, Ealing, prior to gaining a first class honours degree in English Literature at the University of York. She gained a distinction in her MA in Renaissance Literature, also at York, prior to attaining her PGCE at King’s College London. After a role in publishing with the Ark Group in London, Mrs Staunton joined the English Department at St Mary’s. 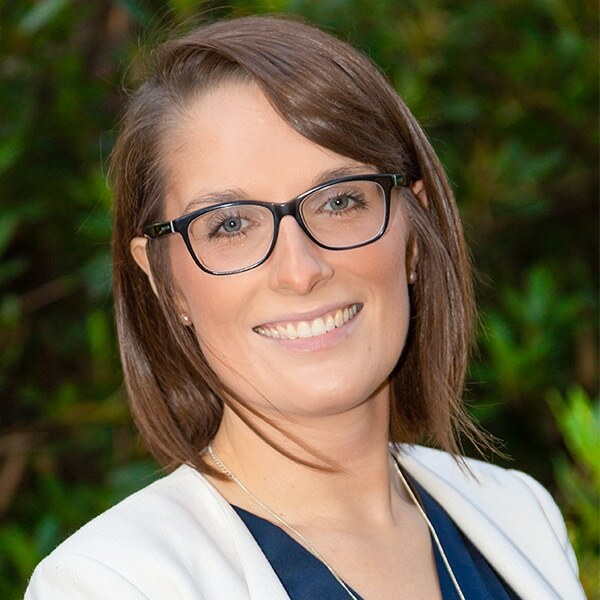 She has worked as a Year Coordinator, Deputy Head of House and then joined the Senior Management and Education Team with a broad portfolio of academic and co-curricular responsibilities, including external communications. She will assume the role of Headmistress Elect from this September, and will work closely with Mrs Breen over the next academic year to help prepare for a smooth transition in September 2019. A large number of our Year 7 and 8 girls took part in this year's Junior Maths Challenge run by the UK Mathematics Trust. This is the UK’s most popular Mathematics competition, with over 300,000 students taking part each year. Two of our Year 8 girls performed brilliantly to achieve Gold Awards. Members of School Council gathered to pack the time capsule which is to be buried beneath the entrance to the new Upper Sixth Courtyard. The capsule contains uniform, photographs, letters which the girls have written to their future selves, and other items from St Mary's life in 2018. It will be buried beneath the paving stones at the entrance to the Courtyard as part of the opening ceremony on Open Day this year, and remain in the ground for 50 years, to be dug up by future pupils and staff in 2068. Sports Day was again a fine, sunny occasion this year. Parents and families came along in large numbers to enjoy their picnics around the grounds in glorious June weather, and to support their daughters and siblings in the competition. 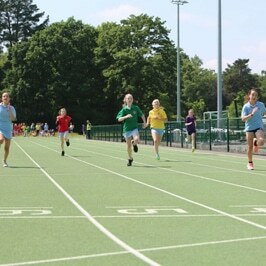 Every girl in the school was involved, from all age groups, competing for their Houses on the track and in the field. Congratulations to Rookwood, who won the overall cup. 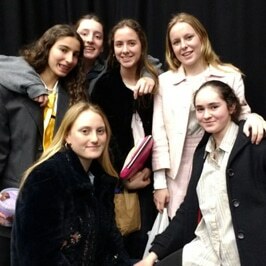 The first drama production of the term took place on the 21st and 22nd May in the Rufus Sewell Studio. Members of Years 7, 8 and 9 were directed by Ms Lynch in 'This Changes Everything', Joel Horwood's visceral play about children and power. 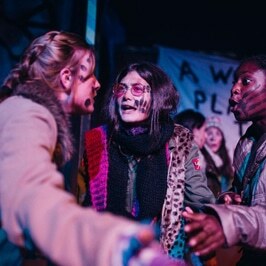 This dark and energetic production explored the dystopian possibilities of William Golding's 'Lord of the Flies' for a generation having to confront climate change. Stunning performances from this talented young cast made for a very powerful and intense piece of drama. On May 21st 2018, the Sixth Form hosted Daniel Hannan MP, who gave a very thought-provoking and exciting talk about the future of Brexit. 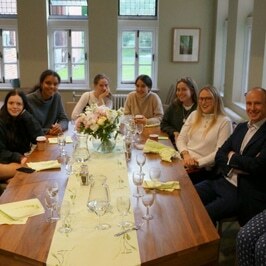 Some of the girls studying Politics for A Level enjoyed having dinner with him beforehand in the Staff Refectory, and the opportunity to discuss informally such issues as the electoral system, tax policy, and his personal experience of working in Brussels. Girls from Year 9 upwards attended the talk, which generated a wide range of perceptive questions from an audience that is clearly very engaged in the politics that is going to shape their future. Parents, girls and staff gathered in the Chapel to enjoy this year's Summer Soirée on Friday 18th May. 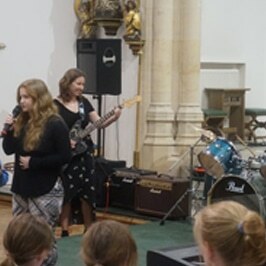 Organised and hosted entirely by Sixth Form girls, the concert presented a range of entertaining material, from Handel's Ombra Mai Fu and a Shostakovich Prelude, to Johnny B Goode and Billy Joel's New York State of Mind. There were also original compositions by the girls, and ensemble pieces that involved collaborations between girls of all year groups. 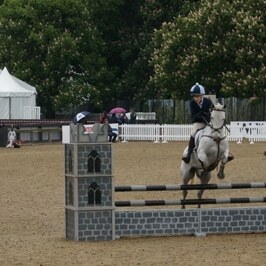 The event raised over £1200 for the Evelina Children's Hospital. St Mary’s continues to produce excellent prize-winning scientists. 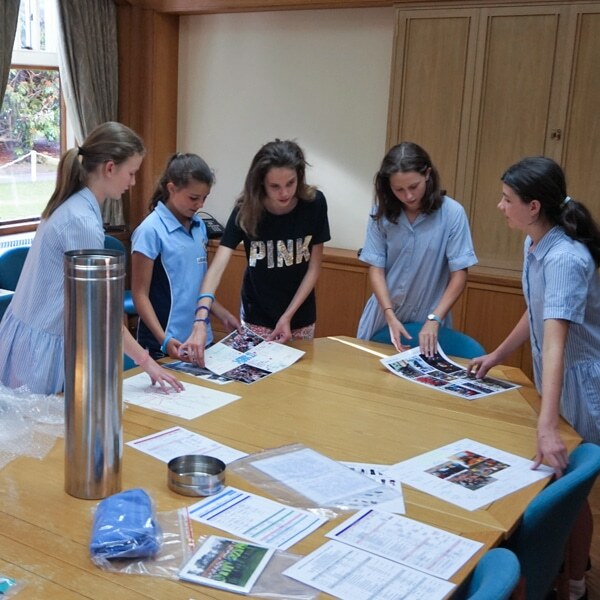 Three teams of St Mary’s girls took part in the Talent 2030 National Engineering Competition for Girls 2018, their challenge being to use engineering to solve one of the problems that face us in the 21st century. Two of our Year 9 girls took first prize in the 11-14 age category with their system of automated robots designed to clean up oil spills at sea. One of our other Year 9 teams scooped second place with their project on sustainable living. 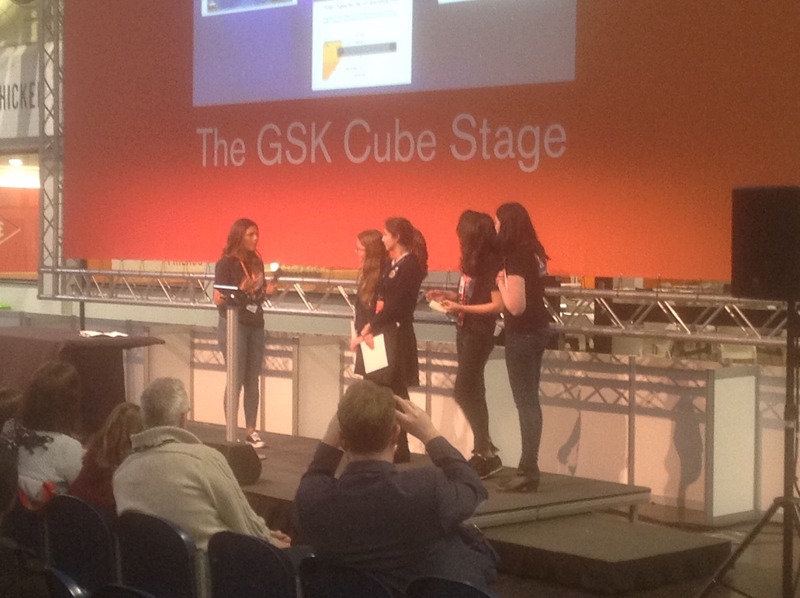 Both teams went up to the Big Bang Fair in Birmingham on 17th March to present their projects and receive their awards. The winning team received a cheque for £500. The Lower Sixth staged a wonderful, lively and entertaining Shrove Tuesday celebration this year. The live entertainment included a splendid rendition of 'My Way' by our own Father Dermot, followed by the delights of the Lower Sixth films, which showcased six years of footage of life at St Mary's in all its wonderful variety and joy. The fancy dress competition was inventive and colourful, as always, and involved everything from 'London Landmarks' and Mount Rushmore to the complete cast of Toy Story. 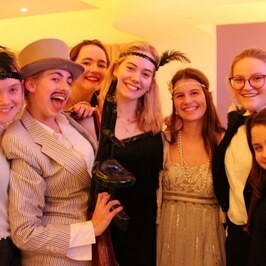 The girls then organised a fabulous Gatsby-themed evening party in the Refectory. 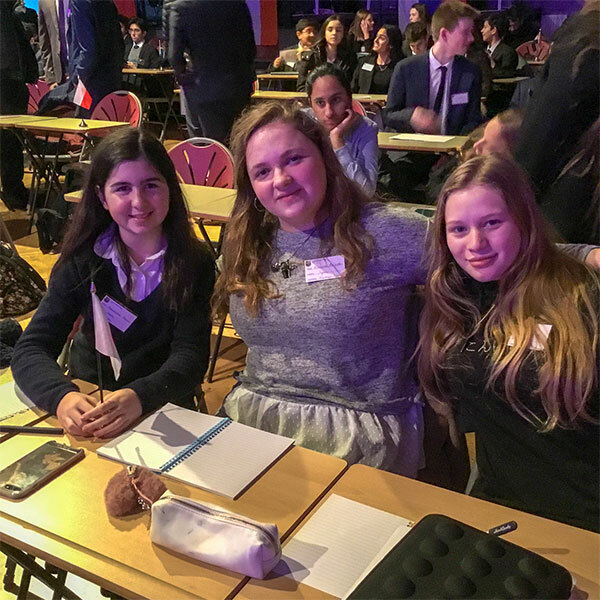 Girls from year 11 and the Lower Sixth participated in the Model United Nations Conference at Guildford High School on January 13th 2018. Our delegates, representing the US and Ethiopia, debated the problem of nuclear disarmament, and one of our Year 11 pupils won the ‘Highly Commended Delegate’ prize for her contributions. 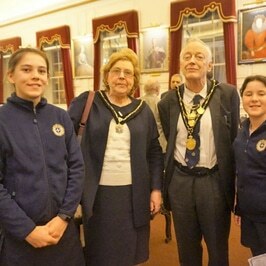 The girls enjoyed the formality of the MUN process, which allowed for robust but measured and respectful debate. They also enjoyed the chance to chat informally with the delegates from other schools over lunch. Congratulations to the St Mary's Music Captain, who has won the Ann Lampard Singing Prize 2018 at the Royal Academy of Music. She performed a repertoire that included an aria from The Marriage of Figaro, a Strauss lieder and a French cabaret song, and beat an impressive field of the country's finest young singers to carry off the prize. Having thrilled audiences with her singing in concerts here over the years, and led the school's music in her last year with professionalism and poise, we also congratulate her on achieving a place at Lincoln College, Oxford, to read Music from September 2018. Congratulations to all the St Mary's girls who represented the school in the Finals of the Windsor Horse Show on the 12th May 2018. St Mary's is very proud to congratulate one of our Year 10 girls who has won the National Schools Trampolining Finals 2018. Her route to the top took her through district and regional heats in Oxfordshire, Hampshire and Kent over several months, and culminated in the National Finals of the competition in Belfast on the weekend of the 24th and 25th March 2018. 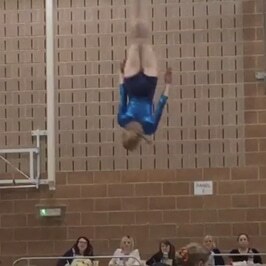 This fabulous result makes her the best trampolinist in her age group in the country. Year 8 girls enjoyed a fascinating trip to Bletchley Park to see the intricate work that took place there during the Second World War. They explored the history of computing, and took part in a codes and cyphers workshop focused around the important Enigma machine. The girls learned about the exceptional importance of the work done by women at Bletchley Park during the war, and enjoyed a tour of the museum, including the excellent Alan Turing exhibition. 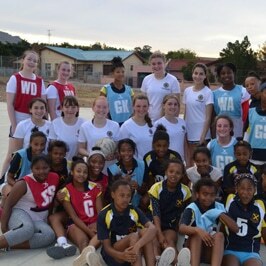 Girls from Years 9 and 10 have returned from a very successful sports tour of South Africa over the Easter holidays. They played hockey and netball against a number of local teams, as well as visiting places of interest such as the Gugulethu cheetah sanctuary and the Eden District game park. They also visited the penguins at Boulders Beach, and were very moved by a trip to Nelson Mandela's prison at Robben Island. The highlight of the trip was their visit to the Goedgedacht Trust and its Path Out of Poverty centre, which works to transform impoverished rural communities in South Africa, and the lives of children in particular. St Mary's girls have raised over £6,000 for the Trust this year. 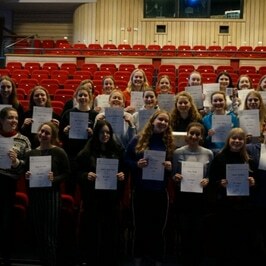 We were very proud to present certificates to our 36 successful Duke of Edinburgh Silver Award candidates at a ceremony in the Rose theatre on 6th March 2018. Over half the year group participate in the Silver Award, and many of these girls will now go on to do their Gold Award in Year 11 and the Sixth Form. The girls enjoyed a celebration tea afterwards in the Jubilee Bar. A group of girls from the St Mary's Modern Foreign Languages Department competed in the annual French Drama Festival on Thursday 8th March 2018 at King Alfred School in London. Directed by two Sixth Form girls, they performed the renowned and hilarious comedy Le Dîner de Cons, by Francis Veber, in which dinner guests compete to bring the stupidest people they can find to a dinner party, with farcical and unexpected results. One of our Sixth Form girls won the prize for Best Leading Performer. 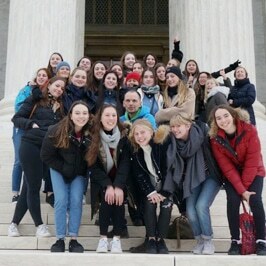 Girls from the Lower Sixth and Upper Sixth returned on 16th February 2018 from their half term trip to Washington. The girls visited Congress, and had the exciting opportunity to witness the Senate in action, as well as taking a tour of the Supreme Court. The trip also involved a visit to Tysons Mall, the Hard Rock Café, and the all-American experience of a basketball game. The trip finished with a visit to the National Constitution Centre and Independence Hall, where the American political system was born, and a viewing of the iconic Liberty Bell. 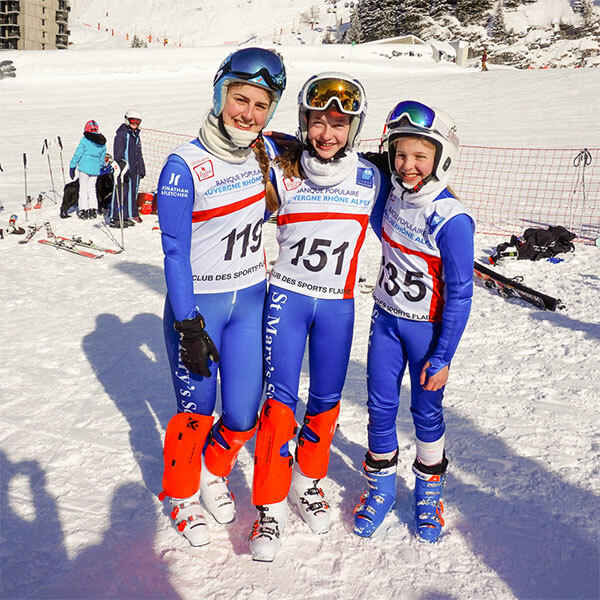 St Mary’s sent its ski team out to the annual British Schoolgirl Ski Races in Flaine on 22nd and 23rd February 2018. One of our Upper Sixth girls came away laden with medals, winning both the registered and unregistered Slalom, Giant Slalom and Combined events in the Under 21 category. This was an outstanding performance for any racer, but particularly for an 18-year-old, across so many disciplines, and we are immensely proud of her achievements. We welcomed back the girls from the History of Art Department, who returned from a very enjoyable visit to Rome on 29th January 2018. The girls spent four days in the city, marvelling at the artwork and filling their notebooks with sketches and ideas. They visited the Colosseum and the Sistine Chapel, and saw work first-hand by great artists such as Bernini and Raphael. 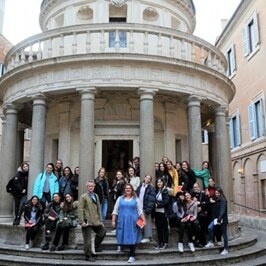 They spent a day visiting Baroque churches and the Borghese Palace, and thrilled at the Titians and Caravaggios that were on display. They also ate in some fine restaurants! 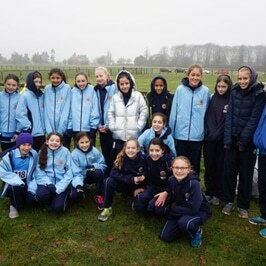 We are very proud of our Cross Country runners, who have had successes at regional and national level. Two of our girls represented Berkshire in the Inter-Counties Cross-Country Championships, and one of these went on to compete in the English Schools National Finals. Meanwhile, one of our Year 11 girls came 1st in the Southern Athletics League Cross Country competition. 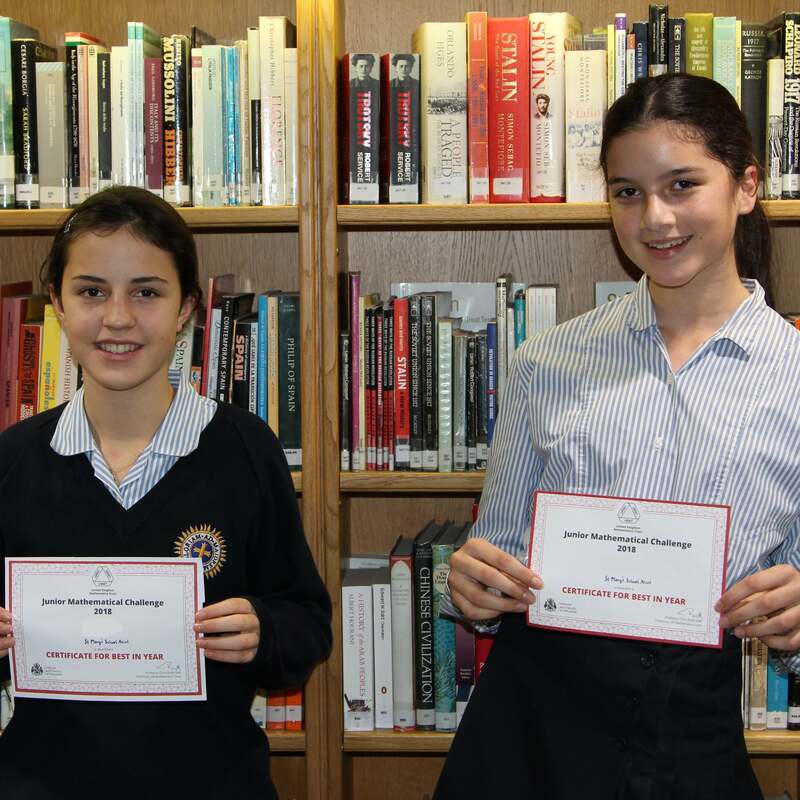 Congratulations to two of our Year 8 girls who have won £100 for the school in the Windsor St George Rotary Club Bright Ideas competition. The competition invites entrants to submit plans for innovations that could make life better in the borough, and attracts participants from schools all around the local area. They have decided that the money will go towards improving our Pet Shed.